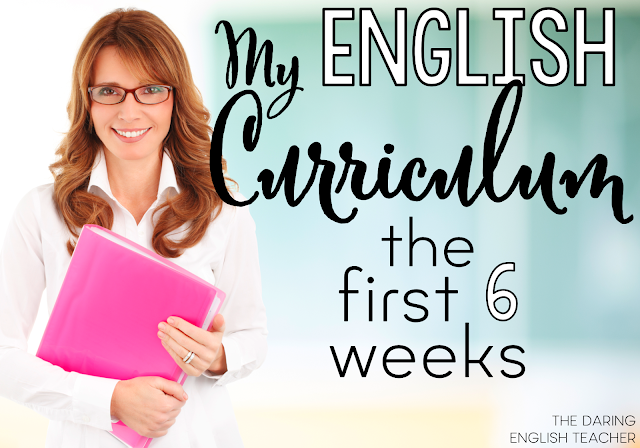 Halloween can be a lot of fun in the high school English classroom, and just because it’s Halloween doesn’t mean that we have to ditch the curriculum in favor of candy-apples. Teaching on Halloween can be fun, content-oriented, and rigorous with a little planning. Besides, the fall air and the excitement of the beginning of the holiday season usually energizes the students, so why not capture that excitement? Have your students write something that leaves the reader wanting more. Will their character survive the precarious position they have found themselves in? Who knows! This is what will make it so much fun for them to write. 2. Research on the holiday. Admittedly, this is probably not as exciting as the rest of the options on the list, but it is still good practice. You could even turn it into more of an opinion piece as to why they like or dislike the holiday for the reasons they have found. Review and practice some important grammar skills with Halloween-themed grammar worksheets! 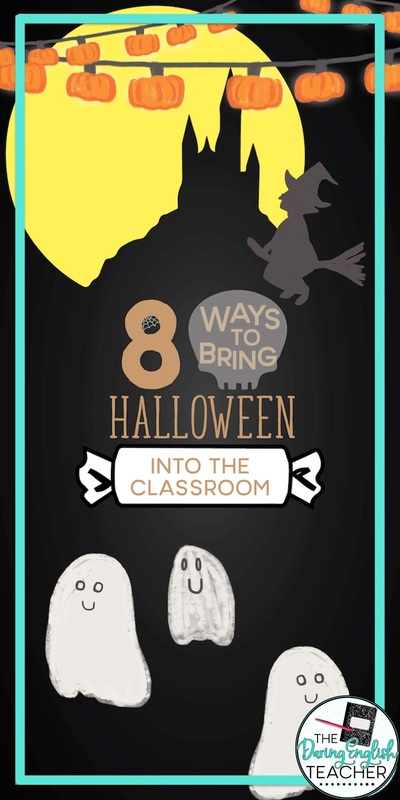 Students will have fun exploring grammar while reading about ghoulish ghouls and haunted houses. 4. Create your own villain. Every good scary or creepy story has a great villain. Voldemort (The Harry Potter series) and The Joker (The Dark Knight) are memorable for this reason. Have your students describe the creepiest and scariest villain they can. Eventually, you could have them write a full story around the villain. 5. Write your own myth about Halloween. So many holidays have myths surrounding them, and Halloween is no different. The amount of scary stories in the world is intimidating, but who says your students cannot contribute to that? 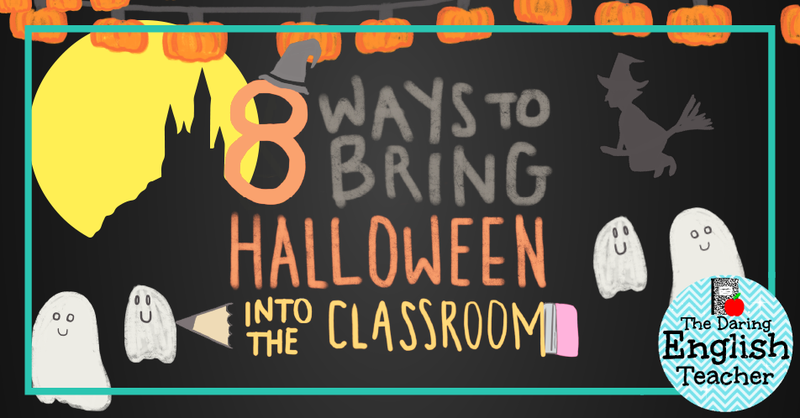 Research some common myths, and then have your students write their own spooky myths. 6. Read and analyze a creepy story. Nothing says Halloween more than a frightening story. On Halloween, I like to set the tone in my classroom by dimming the light, playing creepy background noise, and reading a scary story to my students with a flashlight (think campfire style). It’s fun, the kids love it, and it still focuses on content. One of my favorite creepy stories to read is The Monkey’s Paw. This short story has it all: suspense, foreshadowing, and enough eerie insight to give students a small fright. After reading the story with my students, I like to participate in a close read exercise with my The Monkey’s Paw Close Reading Activity. Once the story is over, we turn the lights back on, go back and reread some important passages together, and analyze the text for various literary elements. I love assigning sentence combining to students because it is a sure-fire way to get students actively thinking about syntax and sentence construction. 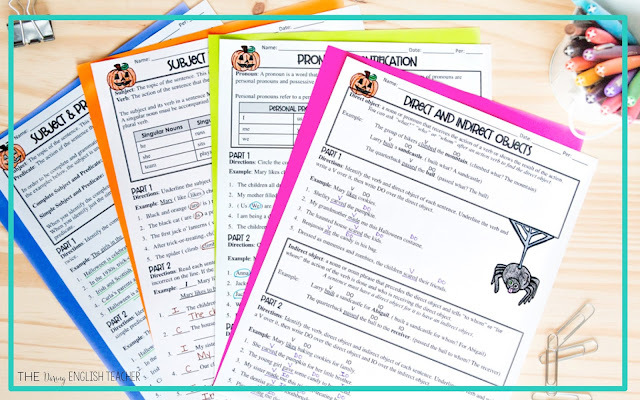 These Halloween-themed sentence combining bell ringers are a great way to start your class period each day in October. Students will practice combining a series of simple sentences together to create compound, complex, and compound-complex sentences. What is even more fun is turning this into a competition. 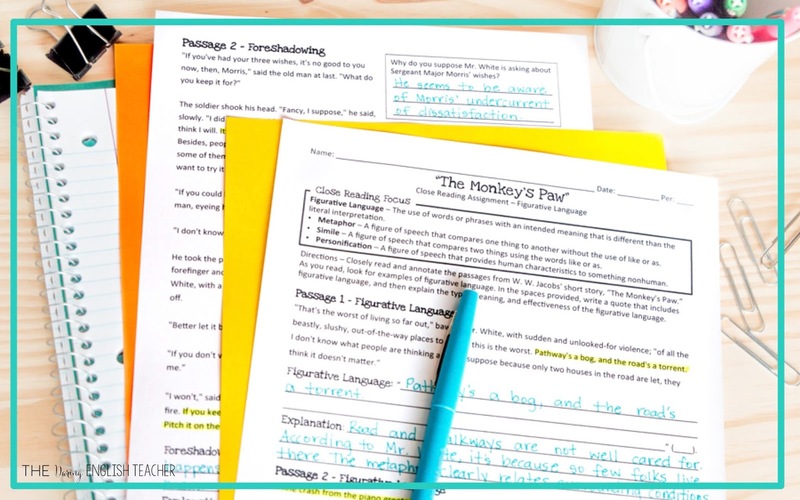 Students can work together in small groups to see just how many sentence variations they can write while still holding true to the original meaning. 8. Write a child-appropriate scary story. This one will prove tricky for older students as the task is to make it scary, but still, something that won’t keep younger kids up at night. It’s all the excitement of writing a horror story, but with a twist. For this one, you might want to look over Halloween stories that are considered kid-appropriate with your class first, so they can get the idea of what to write, like R.L Stine stories. This exercise forces our students to keep their audience in mind. Halloween provides many opportunities for creative writing. I would start with some examples to get your students into the mindset, but after that, let them have free reign. This is the perfect excuse to get their imaginations going and incorporated into the classroom during Halloween.